From hostage-video makers in Baghdad, to human trafficking in the forests of Serbia, institutionalised paranoia in the Saddam years, to the nightmares of an exile trying to embrace a new life in Amsterdam… Blasim’s stories present an uncompromising view of the West’s relationship with Iraq, spanning over twenty years and taking in everything from the Iran-Iraq War through to the Occupation, as well as offering a haunting critique of the post-war refugee experience. Blending allegory with historical realism, and subverting readers’ expectations in an unflinching comedy of the macabre, these stories manage to be both phantasmagoric and shockingly real, light in touch yet steeped in personal nightmare. For all their despair and darkness, though, what lingers more than the haunting images of war, or the insanity of those who would benefit from it, is the spirit of defiance, the indefatigable courage of those few characters keeping faith with what remains of human intelligence. Together these stories represent the first major literary work about the war from an Iraqi perspective. 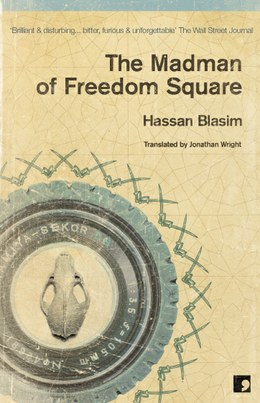 Longlisted for the Independent Foreign Fiction Price 2010. Literature price of Tampere city, Finland 2013.